Margate is the original summer holiday destination. We took a train down for the weekend to discover its vintage seaside charm. Reading my friend Ruth’s blog post and Charlotte from Betty Magazine’s guides to Margate inspired me to visit this summer. I booked The Reading Rooms as a treat for my husband Dan’s birthday, and we went with no real plans of what to do but had a fabulous getaway! Margate is a great place to holiday in the UK. 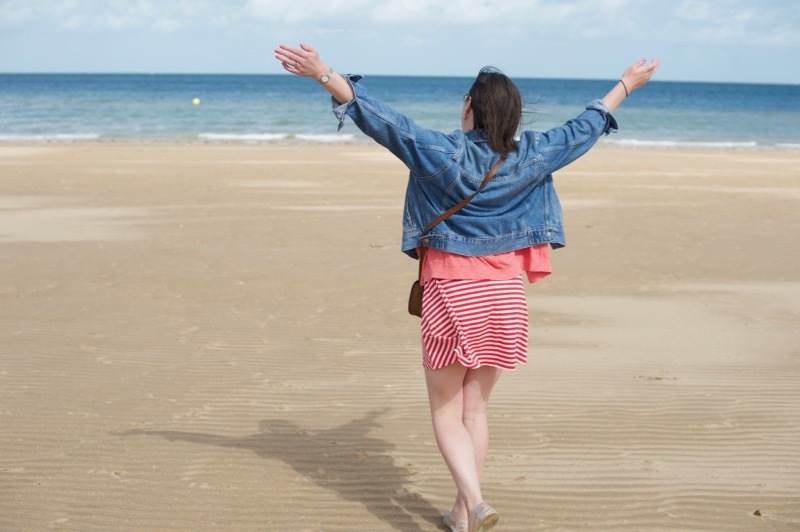 Seaside charm, a restored theme park, local seafood, a beautiful old town with lots of independent shops, cool magazines and newspapers, the Turner Contemporary Gallery and a beach – a real sandy beach, not a pebbly beach like Brighton! 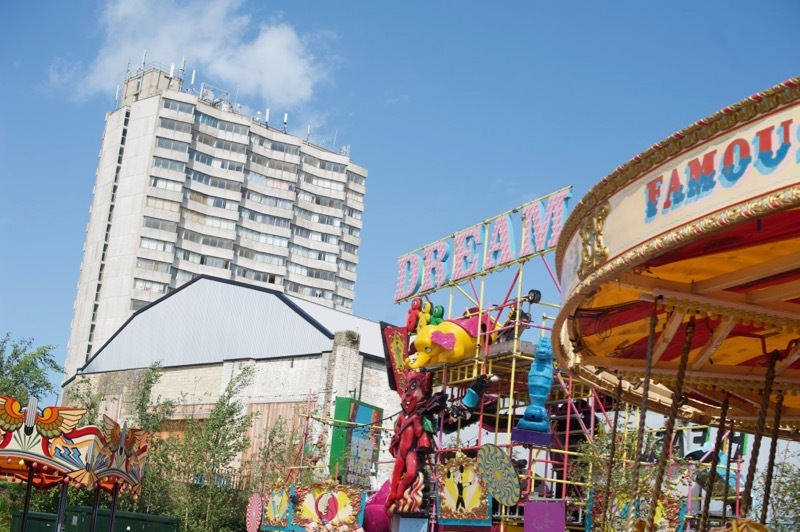 You can’t go to Margate and not go to Dreamland, at least I think! Dreamland is the prettiest restored retro theme park. 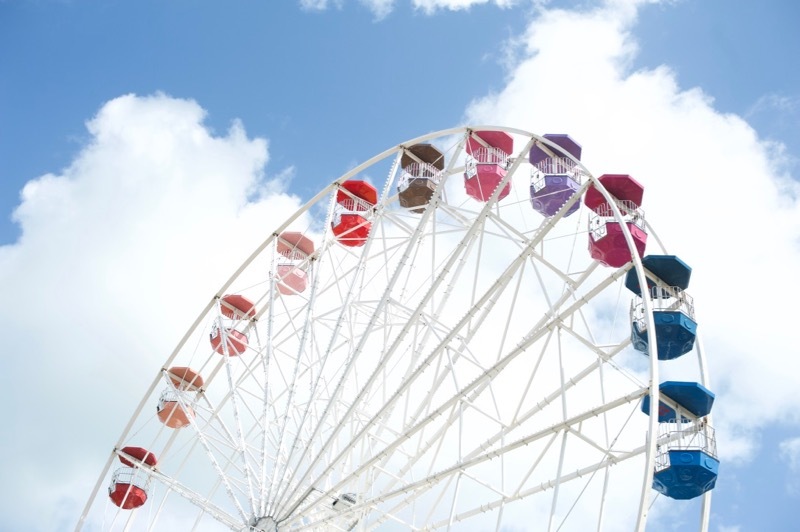 I loved the Ferris wheel that had every cabin painted a different shade so it looked like a Pantone colour wheel. The scenic railway was my favourite ride. It’s a wooden roller coaster that was originally built in 1920 and crazily is the oldest roller coaster in the UK! 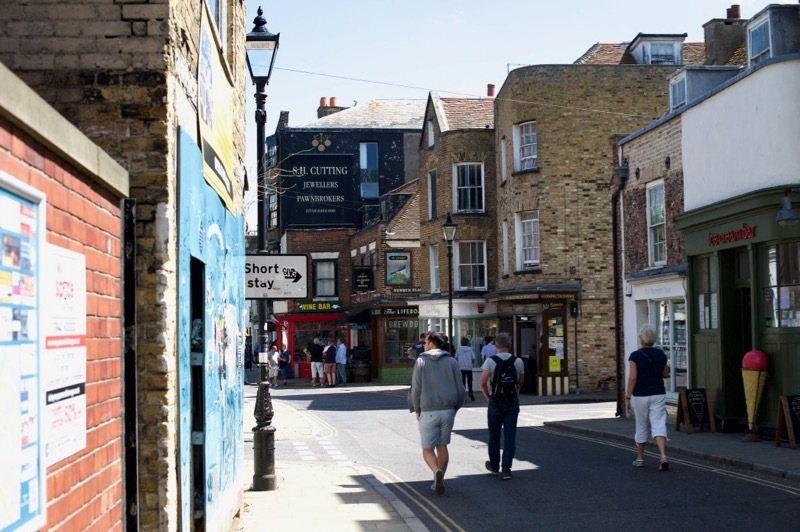 If you are a vintage lover, Margate is somewhere you need to visit ASAP! I loved wandering around the Old Town. Shops were stuffed with great value vintage clothes, piles of antiques and sweet locally-made crafts and gifts. My favourite shops were Cliffs, a retro record store and cafe with a surprise hairdressers in it! 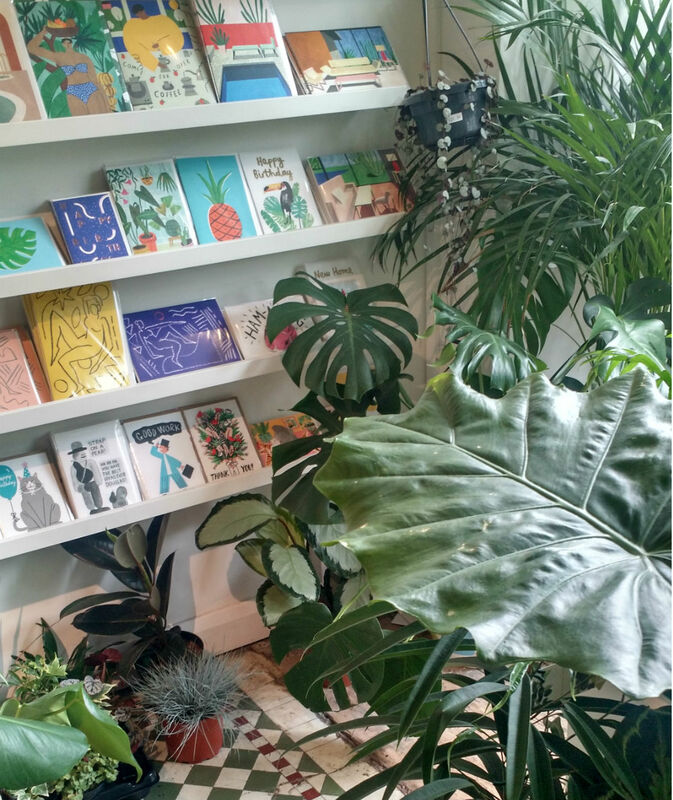 And Mar Mar, a cafe filled with plants and independent magazines that they also sold along with cards and gifts. Both are just out of the Old Town on Northdown Road. 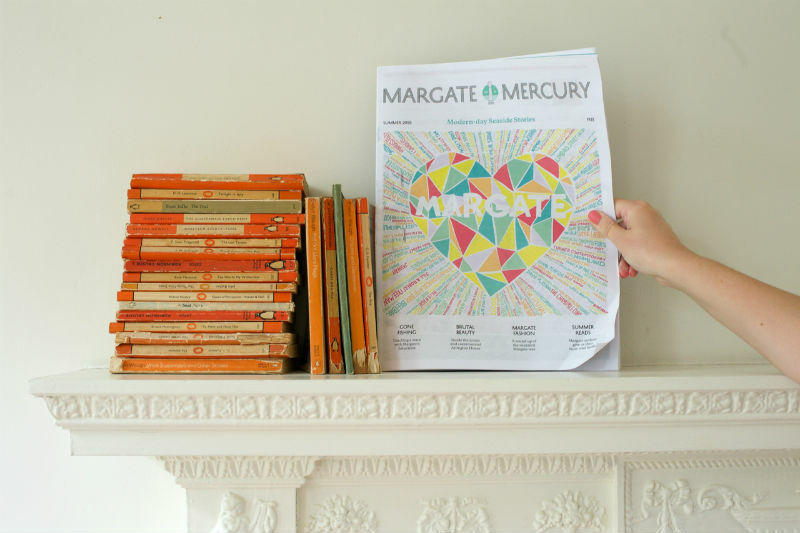 There’s a thriving creative scene in Margate and I discovered Margate Mercury, a free independent local newspaper, founded by Clare Freeman, who moved to Margate from London. 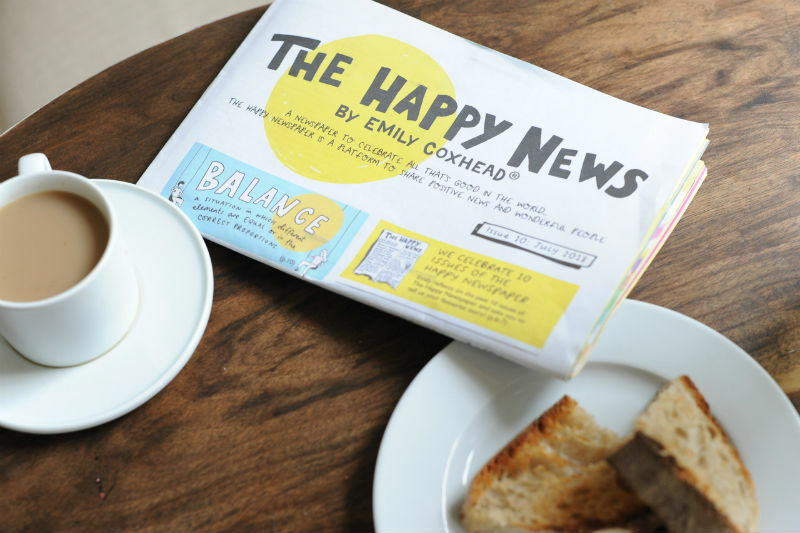 I was also really pleased to pick up The Happy News, an independent newspaper about positive news that I’ve had my eye on for a while by Emily Coxhead! We were totally spoilt for food options. 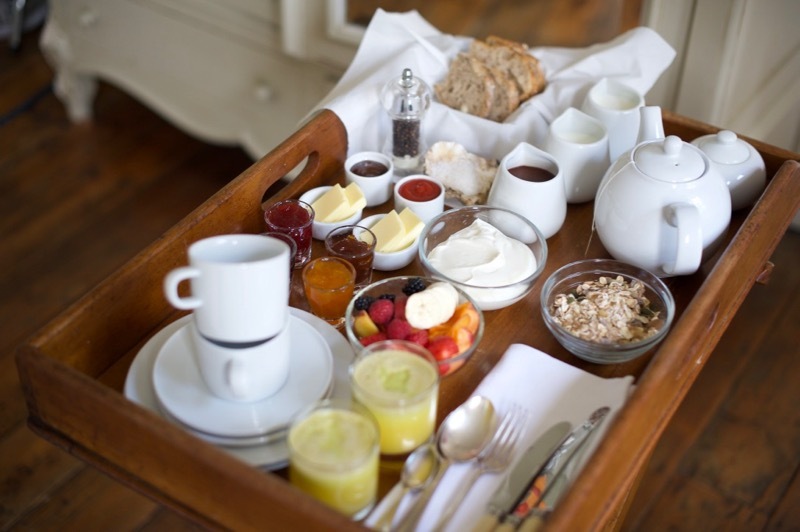 We ate a delicious breakfast at The Reading Rooms every morning in our room. Lunch at Buoy and Oyster was fantastic, with fresh Kent seafood and Anno gin cocktails. We also went to The Bus Cafe for falafels on a real red bus with tables on the top deck and the kitchen below. Pizza is my favourite food so finding GB Pizza Co. that made gluten-free bases and some tasty local seafood toppings made me very happy! I cannot take credit for any of these photos. They’re all my lovely husband, Dan’s, who wrote more in-depth blog on Margate food & drink from our trip! Unexpectedly, I really liked the Shell Grotto. The mystery of unexplained underground chambers decorated with thousands upon thousands of shells arranged in beautiful patterns really intrigued me. 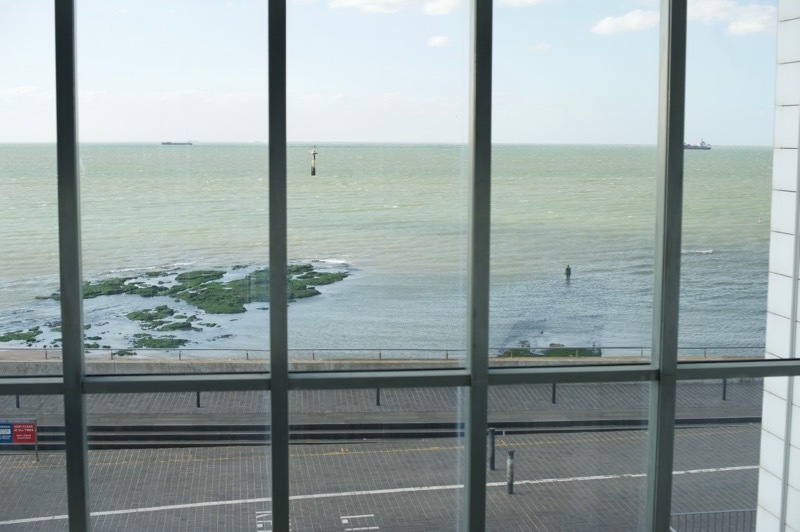 The Turner Contemporary Gallery is a must visit for the Anthony Gormley’s ANOTHER TIME statue that you can see out to sea, which will be there until autumn 2018. Have you been to Margate? What did you enjoy doing most there?